Combine fruit, sugar to taste and water in a Dutch oven. Bring to a vigorous boil and crush fruit with a potato masher until desired consistency. Add pectin in a steady stream, stirring constantly. Stir until the pectin is dissolved. Bring to a full rolling boil (a boil that cannot be "stirred down"), stirring constantly. Boil, stirring, for 1 minute. Remove from the heat. 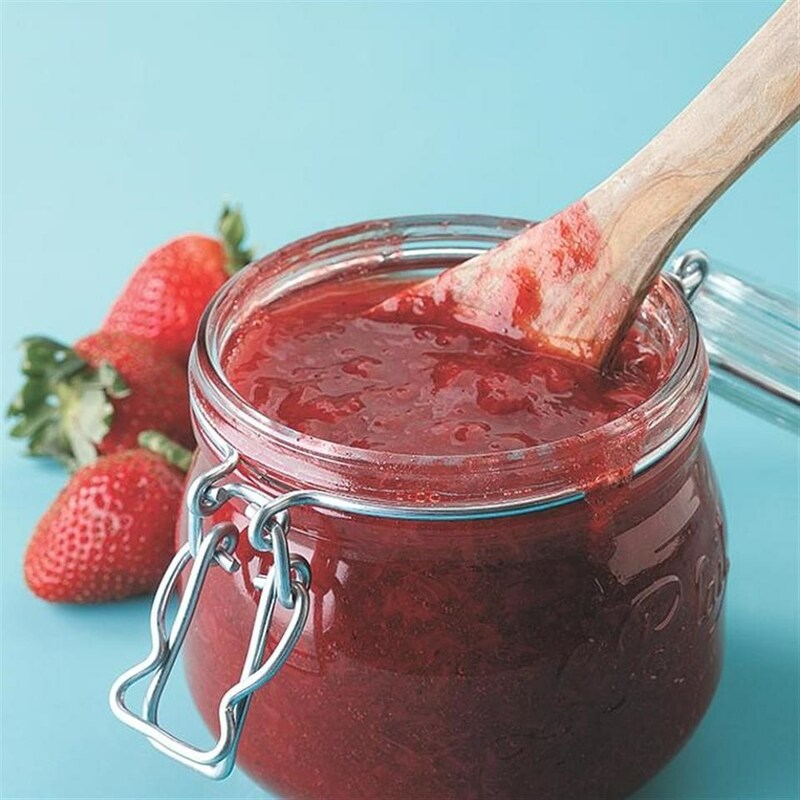 If freezing or refrigerating, ladle the jam into clean canning jars to within ½ inch of the rim. Wipe rims clean. Cover with lids. 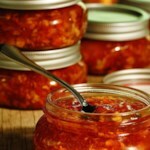 Let the jars stand at room temperature until set, about 24 hours, before refrigerating or freezing. Or process in a water bath to store at room temperature (see Tip). Make Ahead Tip: Store in the refrigerator for up to 3 weeks, in the freezer for up to 1 year or at room temperature for up to 1 year if processed in a water bath. Tip: How to Prep & Measure FruitBerries: Remove stems; hull strawberries. Measure whole. Cherries: Remove stems and pits; halve. Measure halves. 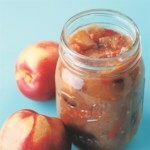 Peaches, Nectarines & Plums: Peel if desired. Cut into ½-inch pieces; discard pits. Measure pieces. Apples, Pears & other fruit: Peel if desired. Quarter, remove seeds and cut into ½-inch pieces. Measure pieces. To peel stone fruit, dip them in boiling water for about 1 minute to loosen their skins. Let cool slightly, then remove the skins with a paring knife. Notes: ¾ cup maple syrup (or honey) or ½-1 cup Splenda Granular can be used in place of 1 cup sugar. 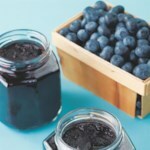 We tested Fresh Fruit Jam with “No sugar needed” pectin from Ball and Sure-Jell. We prefer this to regular pectin because you can adjust the amount of added sugar. Regular pectin cannot be used in its place because it requires more sugar to ensure a proper set. Although Sure-Jell's instructions indicate that you cannot use less sugar than called for in their recipes, we had successful results using less (as indicated in our recipes). Tip: Processing in a boiling water bath ensures safe storage at room temperature for up to a year. 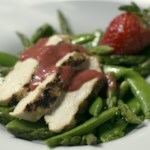 For step-by-step pictures and instructions, go to eatingwell.com/kitchentips.